This week, it happened again. We signed a new client and, as part of our onboarding process, asked if they had a Facebook ads account. They said they didn't know. Which was odd, considering they'd run Facebook ads in the past. Right away, we knew what had happened. 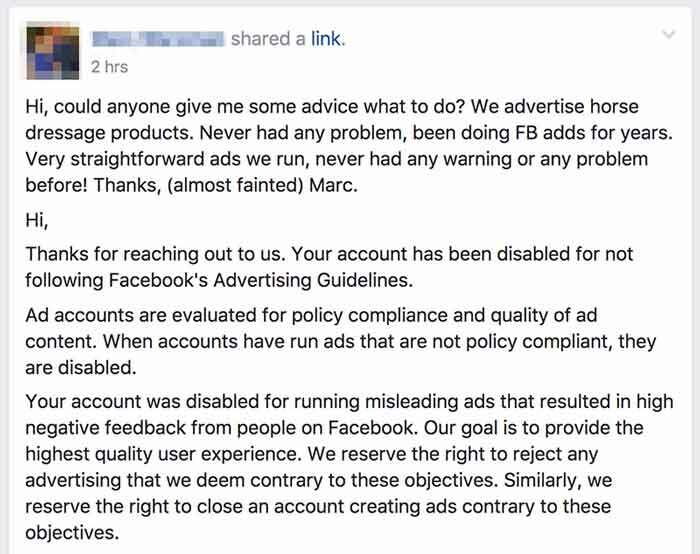 Their former agency had run Facebook ads for them under the agency's ad account, instead of the client's. It is, sadly, a way many agencies operate. And you should refuse to let them in the future. Far too many agencies will offer to run Facebook ads for you under their own agency Facebook account, saying it's faster to get started. And, in that respect, they're right. But fast is rarely better. By using their account, instead of setting one up for you, you lose out on many benefits — and worse, put your own social advertising at risk. At engageQ, we have never — not even once — run our clients' ads under our own agency account. Sure, it takes us more time to get everything set up correctly, but in the end it's always better for our clients. 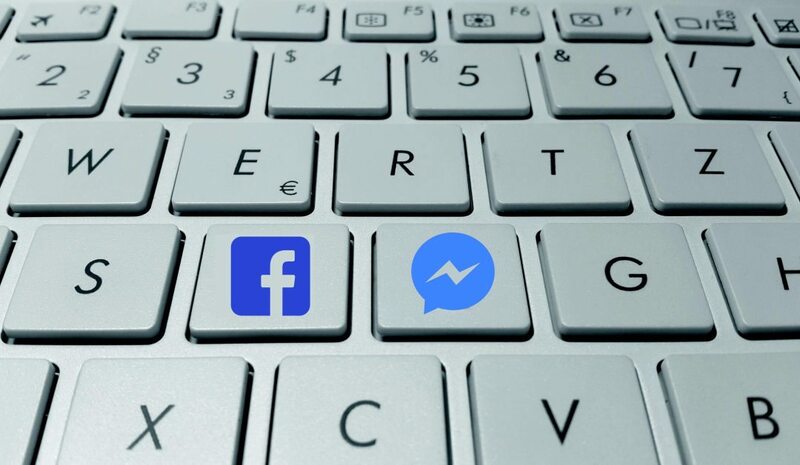 Here are six reasons to never let your social media agency run Facebook ads under their own account. When your agency uses their own ad account, you're sharing that account's reputation with potentially hundreds of other clients — businesses that might not be acting ethically, are pushing Facebook's comfort level with the ad creative, or simply tend to generate a high number of negative reports. Facebook does these without warning, and without appeal. And while you could create a new ads account and start again, you'll lose all the performance data for past campaigns, will have to regenerate a Facebook pixel and recode it on your web site, and whatever social traction you were getting for your ads will disappear. Forever. Facebook rewards advertisers who create compelling, helpful, and well-targeted ads by giving them more distribution at a cheaper price. As well, advertisers whose ads don't require frequent manual review get their campaigns approved faster. But if your agency is running ads from their own account, you don't get to benefit from any of this. Facebook will assume your ads will require the same level of scrutiny as that of the agency's worst-performing client. You're also at the mercy of the agency's own payment method. If their credit card gets a stop on it or hits a limit (entirely possible, if they're running campaigns for dozens of clients under a single agency account), all your ads stop too until they get around to fixing the problem. When your agency controls the ad account, only they can pick and choose who gets access to it. And, given that they're probably also running ads on their account from dozens of other companies, you can be sure they're not going to give you full access to the ads dashboard. That means you won't be able to get in and tweak ads if you want, or stop them whenever you want. You'll have to wait for your agency to do that for you. If you decide later to part ways, you will lose all access to those ads and the historical performance data, leaving you without any information to help you later inform decisions on what ad formats and creative worked well. When your agency controls the ad account, they can (and do) pick and choose what data they report to you. If your ads aren't generating the number of leads expected, you'll get a report breathlessly touting the number of impressions you got instead. When you control your own ad account, you can log in and check whatever metrics you want. Whether the results embarrass the agency or not. Let's say you and the agency disagree about an invoice. When they control the ad account, they can simply turn off any access they've given you to it (if they've given you any at all) and use that as unfair leverage against you. They might even charge you a fee to download data, transfer audiences, and more. You shouldn't have to pay. It's your data. When you control your own ad account, you can put any credit card you want as the payment option. So if your credit card racks up air miles for you, you could easily earn a free flight or vacation — just from doing regular business! If it's the agency's ad account… well, you've just paid for a nice holiday for the CEO. I'm sure he'd send you a postcard or something. We're not like the other agencies. We never run our clients' ads under our own Facebook account. Ever. Instead, we'll get on a screenshare with you and walk you through setting up your own account — one that you, and you alone, control the access. We'll show you how to give us just enough access to do our job, and we'll even show you how to boot us out of the account any time you want. And when our project together is over, we simply disconnect from your ad account, and you're left with everything intact — all your ads, all your historical performance data, all your pixels, all your audiences. Everything. It's the right thing to do. You should insist on nothing less from your own agency. Let Us Buy You a Fancy Coffee. When do you expect to partner with a digital marketing agency? Receive our monthly e-newsletter of social engagement tactics? One-click unsubscribe any time. Your info is never shared. We'd love to chat with you about how we can help. Call us toll-free at 1.855.863.6233 (press 1) or contact us. engageQ digital is Canada's leading social engagement firm, with offices in Vancouver, Toronto, Calgary, Winnipeg, and Nanaimo. Give us a call toll-free at +1-855-863-6233.